Since the time we got our ASUS ZenScreen just before Computex, this has been the constant screen buddy of our ASUS Zephyrus. As video and written content producers, productivity is everything; and having a secondary monitor has always been beneficial for us. Yes, you can say that having a second screen is part of our second nature. It makes things easier and more efficient to do at work and even at play. While it seems easier to have this kind of setup at home or at the office, it’s rather difficult to pull this off while on the go. This is where ASUS ZenScreen comes into play. Before we give you our top reasons for having this one in your disposal, here’s a quick information about it. This one’s crazy thin and light. Thickness… or rather its thinness measures 8.0mm, and only weighs .78kg. It is, in fact, the slimmest one we’ve seen, and this is the reason why we always bring it with us. Together with your laptop, it is designed to be portable from the get-go, and can easily fit inside a bag. ASUS ZenScreen only sports 1 port – a Type-C port that supports hybrid-signal. 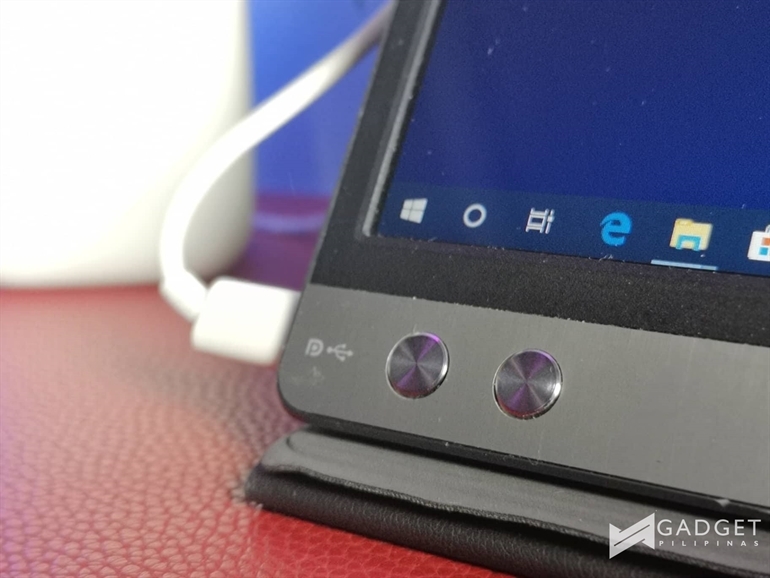 This is the world’s first portable monitor that supports hybrid-signal! The lone port only needs 1 connector that is compatible to almost any laptop. We, in fact, don’t have any issues connecting it to our ASUS Zephyrus without installing any drivers. The screen has other nifty tricks under its sleeve, and enabling it would be the only time the driver will be required. 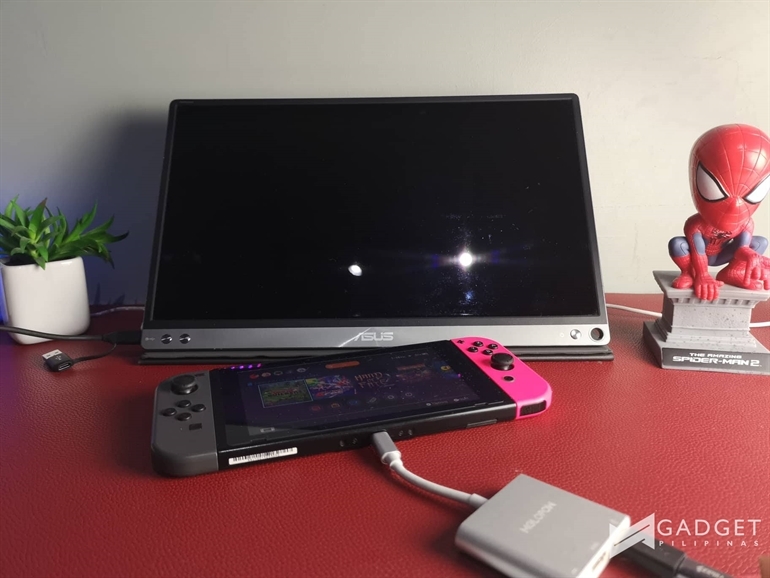 As for its compatibility with other devices such as smartphones and Nintendo Switch, we confirmed that none of the devices listed below work with ASUS ZenScreen. This is is a bit of a letdown, but it is understandable because the listed devices below do not support DP Alt Mode. We tried using Huawei USB Type C to HDMI, Type C to adapter and even the included Type-C to Type-C connector. 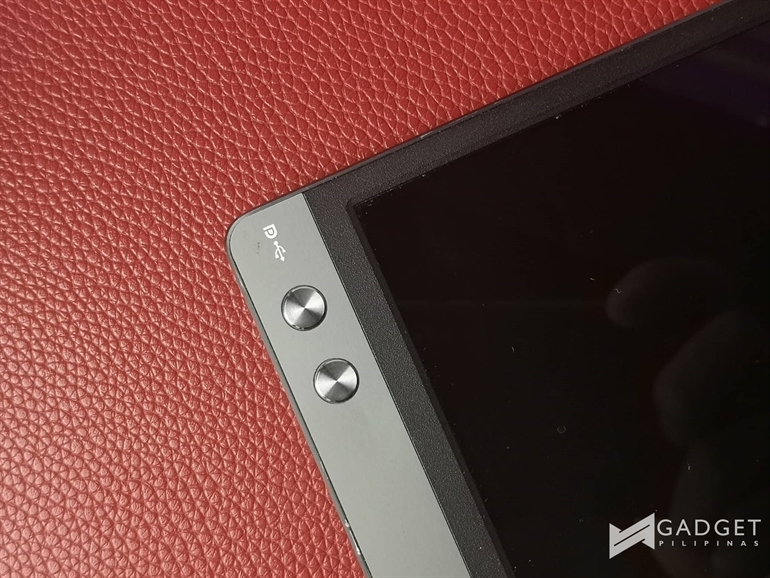 ASUS ZenScreen has more tricks up its sleeve! The display has all the features ready to be tweaked from its handy OSD UI and controls. 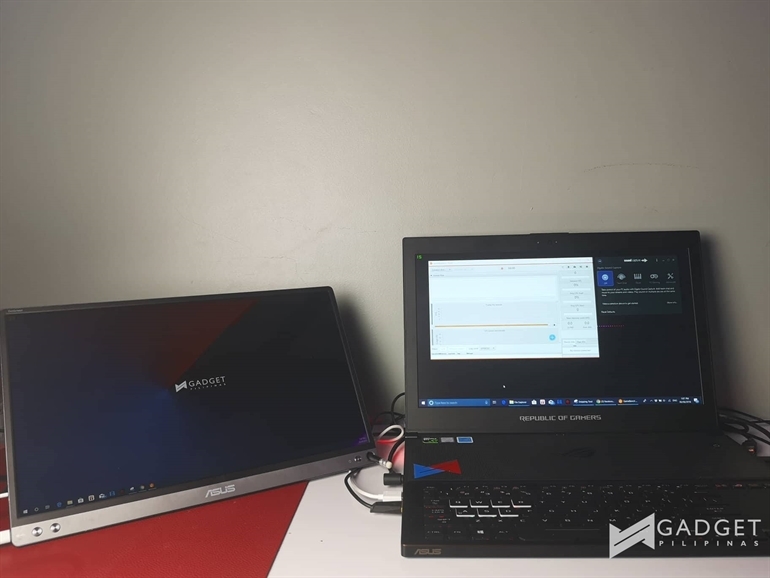 ASUS proprietary screen settings and filters may be accessed directly via the UI, and may be done right on PC it is connected to. 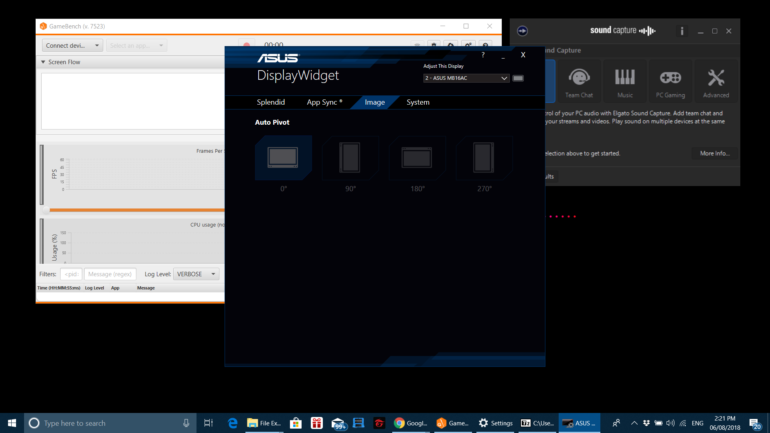 ASUS DisplayWidget is the only application that is needed to conveniently tweak the settings of the portable monitor right from the PC. All the settings found on the monitor’s OSD UI is available on DisplayWidget. My favorite is AutoPivot that enables ZenScreen’s automatic screen rotation. 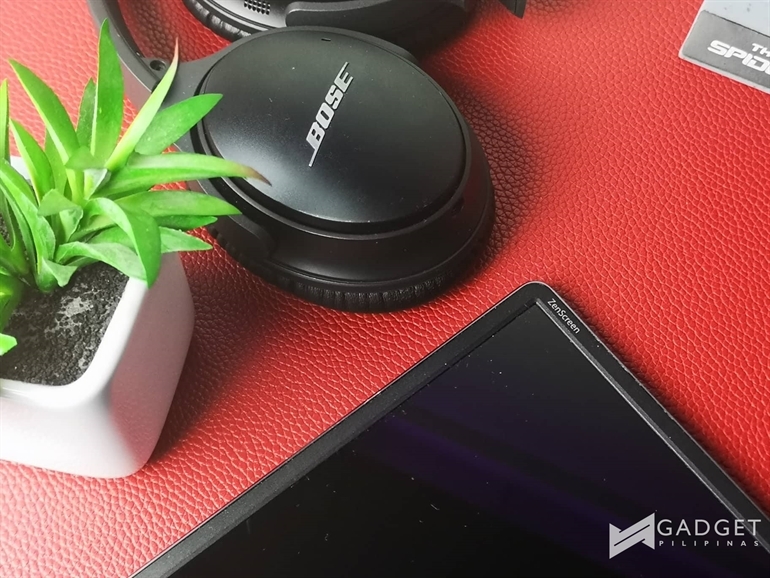 One of the reasons for having a ZenScreen is to share content. Finally, there’s an easier way to share content on the go, and it is as simple has making the secondary screen as a cloned or extended display. During business meetings with clients, we use the secondary screen as our presentation screen and our laptop screen for presenter view. During out of town trips with family, whenever work can’t get out of the way, we usually convert the ZenScreen as our kids’ YouTube screen while working on some work deadlines. And yes, while streaming our favorite game, we use the ZenScreen to monitor our live Facebook Live or Twitch chats. Handy and portable AF indeed! The screen has good color saturation, albeit a bit too dim for my standard. Switching to Game Mode sort of fixes the brightness issue at the expense of over-saturation and vibrance. sRGB color gamut is at 72.4, which is considerably lower than our expectation. However, it proved to be very useful for productivity tasks such as writing and editing photos and videos. When doing the latter though, it is recommended to use the main monitor (with relatively better sRGB color gamut) for color accuracy purposes. 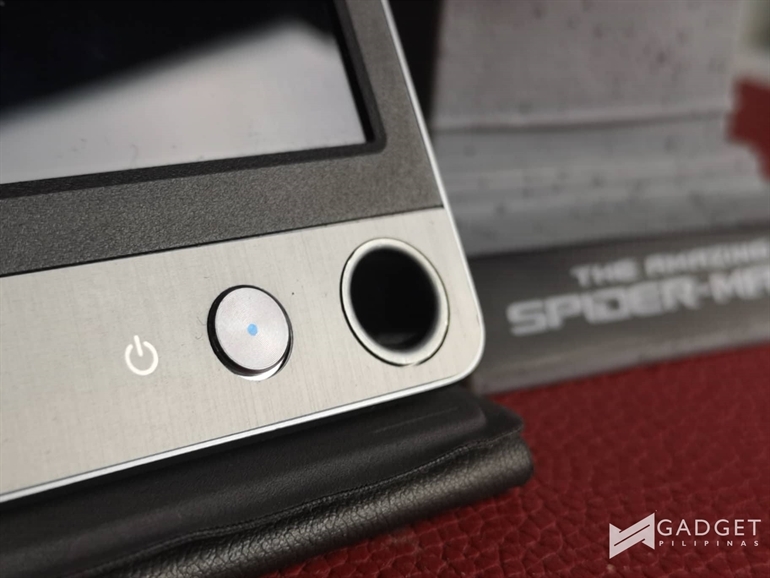 The portable monitor comes with a foldable smart case. It’s the perfect companion to place the laptop horizontally. It’s magnet-assisted, which supposedly makes it quite easy to set up, provided that you know how it’s done. Unfortunately, there is no way to set up the screen vertically with this case. 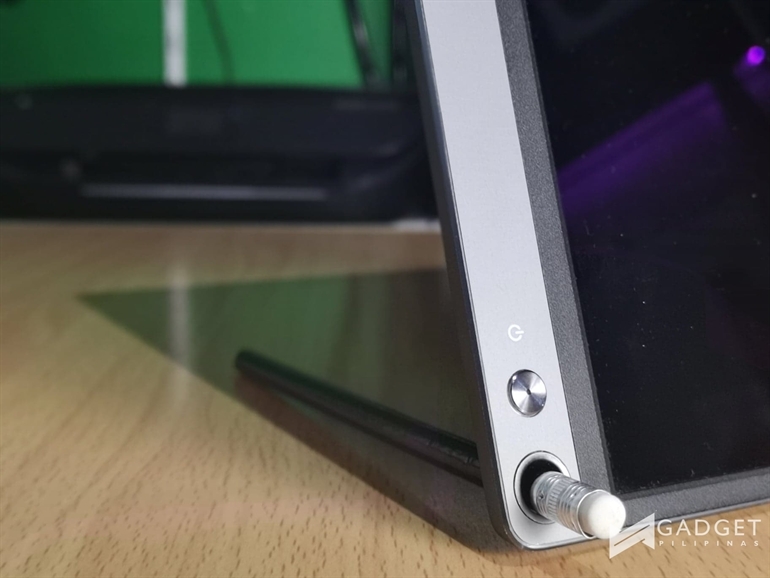 However, ASUS has a neat solution – ZenScreen Pen. The pen didn’t reach our HQ, but any pen or pencil fits the hole, which basically acts as a makeshift stand for the screen. Android 9.0 is Android Pie: Now Available for Pixel Devices!